QUEENSLAND police believe a woman who went missing from Bundaberg in August could be in South Australia. Anne Richardson, 37, was last seen in Rockhampton on August 5 last year. Queensland police are concerned for her welfare as she has not contacted family or friends since her disappearance. Ms Richardson is Aboriginal, 140cm tall, with black hair and a slim build. Police have asked anyone who may have scene Ms Richardson to contact BankSA Crime Stoppers on 1800 33 000 or online at www.sa.crimestoppers.com.au. CONCERNS are held for the welfare of a 37-year-old Bundaberg woman who has been missing for more than six months. Anne Richardson, a long-term Bundaberg resident, was last seen in Rockhampton on August 5. Bundaberg Criminal Investigation Branch Detective Senior Sergeant Joe Hildred said Ms Richardson was reported missing by a friend on Saturday. "Police hold concerns for her safety and we're very keen to locate her," he said. Det Snr Sgt Hildred said she was described as Aboriginal, 140cm tall, with black hair and a slim build. "It's been several months since she was last seen by members of her family," he said. "If she is reading this, could she please just contact her foster mother in Bundaberg. "She doesn't have to tell us where she is, but we would appreciate some contact." Anyone with information is urged to contact Crime Stoppers anonymously on 1800 333 000 or Bundaberg police on 4153 9111. QLD Police are still appealing for public assistance to locate a 37-year-old woman who has been reported missing from Bundaberg. 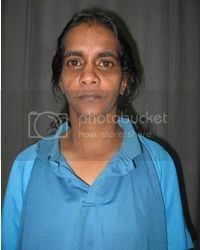 Anne Maree Richardson was last seen in Rockhampton on August 5, 2011. Police have initiated an operation to investigate her disappearance and hold grave concerns for her welfare as she has not been in contact with family or friends for a number of months. 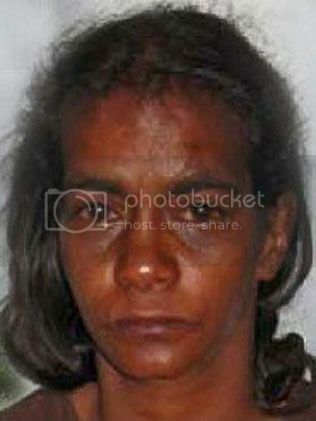 She is described as Aboriginal, 140cm tall, black hair and with a slim build. Police are appealing to anyone that may have information to contact police or Crimestoppers.